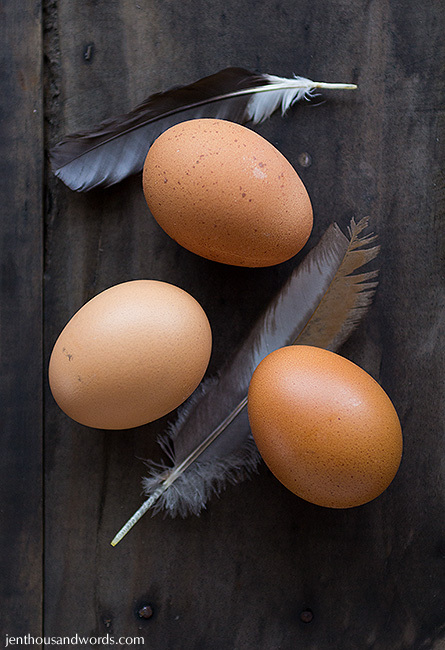 Don't get egg-cited, our hens haven't started laying yet! These are just store-bought eggs. Feathers courtesy of Marble and Doris.